Crews investigated Grant Park High School after receiving reports of a white haze. 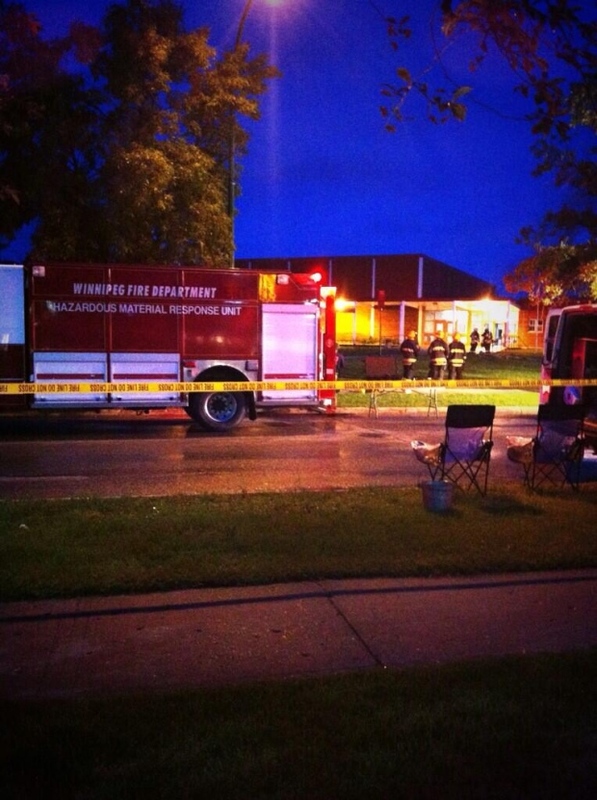 HAZMAT crews searched a Winnipeg high school early Wednesday morning. Teams were at Grant Park High School around 3 a.m. They were on-scene for several hours looking into a faulty air conditioning unit. A white haze could be seen inside the school. The area was taped off and part of Nathaniel Street was closed as crews investigated. Classes have been cancelled for Wednesday, said school officials. The school division also said students and staff will be allowed back in once an inspection has been completed, with notices posted on the school's website.